This beautiful building blocks set will inspire your child to have fun with numbers, helping your child learn to count! 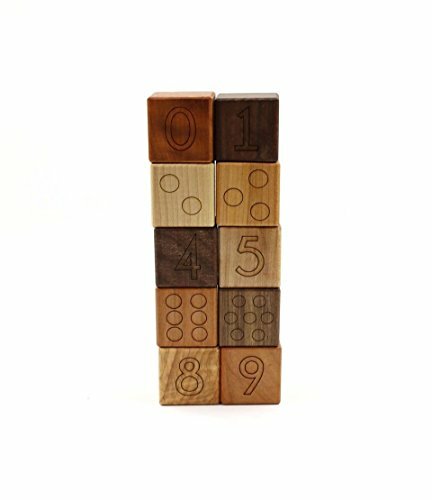 Made from cherry, maple, and walnut hardwoods, this set of 10 blocks are laser etched with a number on one side and the corresponding dots on the opposite side. These blocks are 1.5 inches square and are finished with Bannor Toys own organic beeswax and flaxseed oil finish making it safe for all ages. Also, a great gift idea for a favorite teacher! If you have any questions about this product by BannorToys, contact us by completing and submitting the form below. If you are looking for a specif part number, please include it with your message.